JWLand is excited to be celebrating a construction milestone at Founders Lane with completion on track for the end of this year! 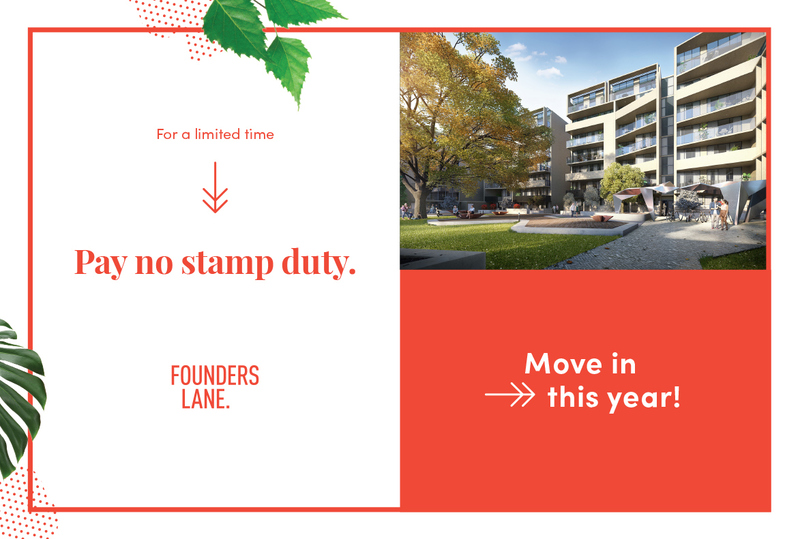 To mark this special occasion and for a limited time only, JWLand will pay the stamp duty on any apartment that is purchased at The Mark or Provenance on or before the 15 March. Now is the perfect time to visit the Founders Lane Display Suite and view the range of two and three bedroom apartments on offer. Prices start from $560,063 for a 2 bedroom apartment and $699,000 for a 3 bedroom apartment. Save thousands of dollars in stamp duty and secure your new home today!